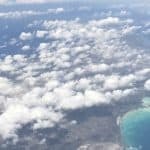 March 2018 was my first trip to Haiti. As a matter of fact, it was my first trip out of the country (not counting a couple of day trips to Canada, which is literally visiting one town over). I was a member of the construction team which was part of a joint medical/construction mission. My knowledge and expertise in specific trades is limited, but if someone tells me what to do, I can work. From day one, I did my best to keep up with the more seasoned construction crew from tackling the main project of replacing an expansive metal roof to repairing the strained already-pieced-together church pews with spare parts and scrap wood that we could scrounge up around the yard. The simplest impromptu projects proved to be the most fulfilling, however. I witnessed a carpenter construct desperately needed shelving in the kitchen area for which I received undeserved photo credit. Near the end of the trip, I actually did assist with rerouting plumbing from the kitchen to the “laundry gazebo”. I believe the third time was the charm for no leaks. At that point in the week numerous tasks had been successfully completed and many mistakes made by all, crumpled sheet metal, supremely ridiculous mis-measurements stubbornly corrected until just right, and general head-scratching decisions preceded good-natured ribbing. It wasn’t long before the crew was quacking at each other like a flock of wood ducks all in good fun and hilarity, of course. With the plumbing and shelving complete, the gleeful smiles of the primary beneficiaries, the cook and the laundry lady, could have illuminated a room. You could see their joints relaxing as they realized the carrying of heavy basins of water, wet clothes and bedding, and cooking supplies across the unforgiving concrete walks was no longer a necessity or at the very least significantly mitigated. What gain has the worker from his toil? I have seen the business that God has given to the children of man to be busy with. He has made everything beautiful in its time. Also, he has put eternity into man’s heart, yet so that he cannot find out what God has done from the beginning to the end. I perceived that there is nothing better for them than to be joyful and to do good as long as they live; also that everyone should eat and drink and take pleasure in all his toil – this is God’s gift to man. This passage frequently came to mind as I soaked up the wonder of the land and its people. 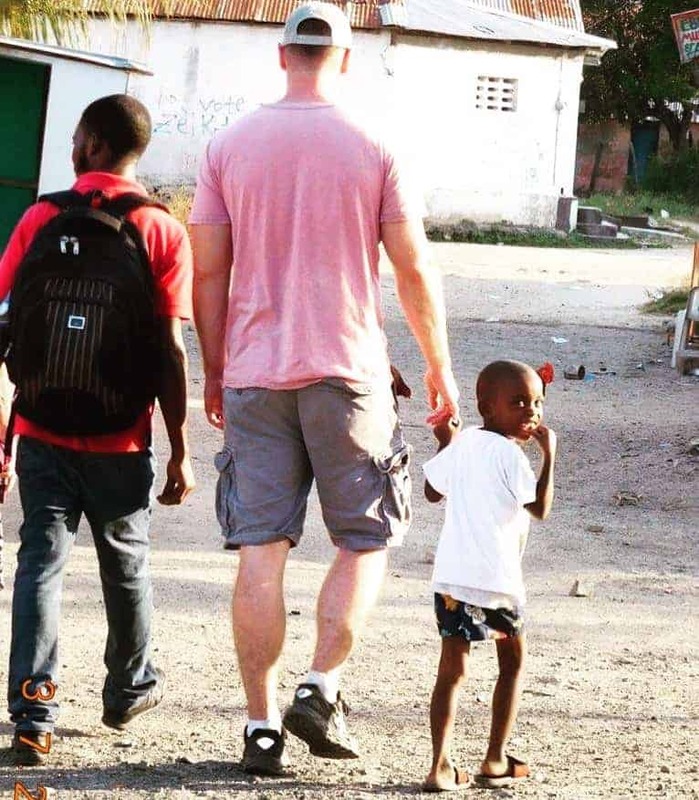 Before I left for Haiti, I was told “you’ll probably find that you need Haiti more than Haiti needs you”. That statement could not be more true. The gain from my toil was 19 smiling faces singing, running, chasing, throwing frisbees, and learning to dribble a basketball. That is what I looked forward to each evening. But above all, what stays with me the most was holding little hands. I have two daughters, nearly 6 and nearly 3 years old, and there’s naught much greater than my hand gripped in theirs. They were constantly on my mind as I walked the grounds of the church compound and toured the Caracol streets. The Strong Tower girls would take my hands either to get my attention or to lead me to the next desired activity. The language barrier notwithstanding, the trust and comfort displayed made me feel at home. While relationships were forming at Strong Tower, being a perfect stranger to others did not quell the village children. A boy and a girl, perhaps siblings, slipped their hands in mine as we walked across the schoolyard. Words were neither spoken, nor were they needed; just beaming eyes and brilliant smiles. 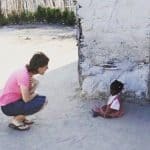 Strolling through the streets on our village tour, attempting to look and act more like missionaries than tourists, a young boy left his mother’s cinder block and corrugated metal shack, sidled up to me, and for a few paces we walked hand in hand. It’s funny; that boy may be too young to ever remember or think twice of the lasting significance of those negligible seconds of silent interaction, but this man will never forget those brief moments when two people from different worlds walked life together.